Ferland Mendy, Filipe Luis, and Junior Firpo have been identified as left-back options. Barcelona are reportedly looking at three options as back-ups for Jordi Alba at left-back, a position where a lack of depth has become a concern for the club. Lucas Digne and Marc Cucurella left in last summer’s transfer window, leaving La Blaugrana thin at the position. Right-backs Sergi Roberto and Nelson Semedo have both deputised for Alba on occasion this season, as has academy graduate Juan Miranda, but none of those players have convinced. 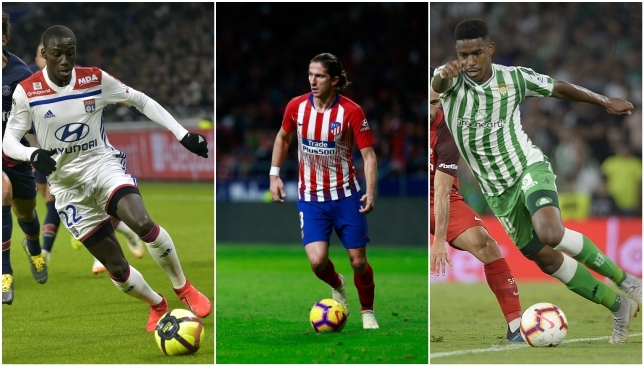 Now, Mundo Deportivo are reporting that Barcelona have identified Lyon’s Ferland Mendy, Atletico Madrid veteran Filipe Luis, and Real Betis’ Junior Firpo. The 23-year-old Mendy will have a chance to impress Barcelona in the coming weeks, as the Catalan club face Lyon in the Champions League round of 16. Firpo reportedly has a €50million release clause, making him a difficult transfer target, though Barcelona’s good relationship with Betis could make negotiations smoother. Luis, of course, has been a stalwart for Atletico, and has proven pedigree in La Liga. 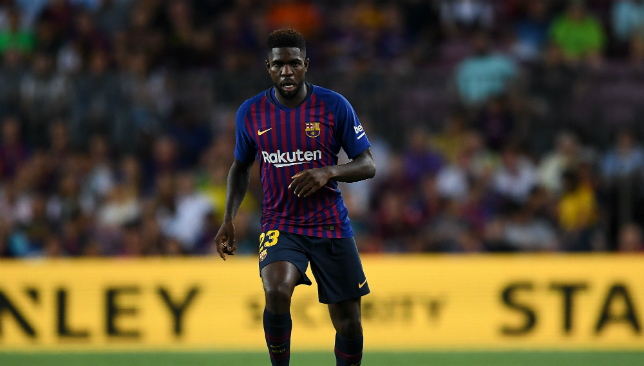 Samuel Umtiti returned to training for Barcelona on Friday as he bids to regain fitness ahead of the Champions League round of 16 tie against former club Lyon. The French centre-back has not featured since November thanks to a knee injury that has seen him miss 17 games across all competitions, the most notable absentee in Barcelona’s defensive crisis. However, his desire to face the club where he spent five years as a youngster before moving to Barcelona in 2016 is set to bear fruit, with the 25-year-old now in with a chance to play in the February 19 fixture. If Umtiti is fit, he would likely come in for Clement Lenglet, who has been Ernesto Valverde’s preferred centre-back partner for Gerard Pique. The defender’s return is a welcome in a week where La Blaugrana received bad news on the injury front elsewhere, with midfielder Arthur set to be out for three to four weeks with a hamstring injury. That came on the back of an injury to Lionel Messi during last Sunday’s 2-2 draw with Valencia, with the captain looking short of his best in the midweek Copa del Rey tie against Real Madrid. Messi may miss Sunday’s trip to Athletic Bilbao as a result. Malcom scored just his second-ever Barcelona goal. Barcelona winger Malcom was so pleased with his Copa del Rey goal against Real Madrid, the Brazilian says he’s watched it over 100 times. 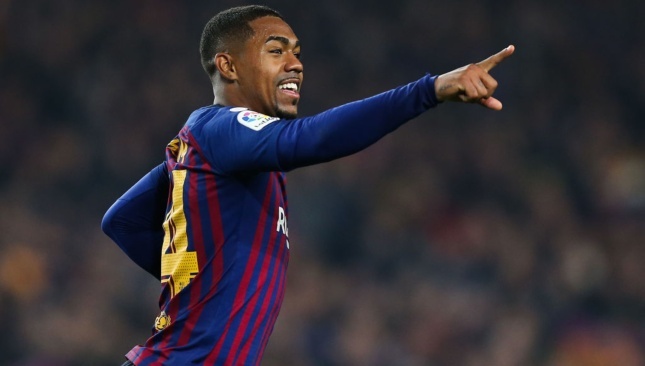 Malcom scored the equalising goal in the first leg of the two sides’ cup semi-final tie at the Camp Nou, the Brazilian winger’s first taste of El Clasico having missed out on his side’s 5-1 win from earlier in the season, when he was named a substitute but didn’t make it off the bench. It was a crucial goal considering the circumstances, as a win for Los Blancos would have given them a significant advantage going into the second leg, which they will play at home in Madrid. “I have watched my goal 100 times,” Malcom told Cadena Ser.